Our Team — The Biglieri Group Ltd.
Anthony has over 30 years of experience in land use planning, development and project management. After beginning his career working for a large engineering firm, he began The Biglieri Group Ltd. in 1994 and built it from the ground up. His commitment to his clients, respect for the public process and creative vision makes him the ideal professional planner and project manager to have on your side. In his many years, Anthony has built impressive relationships with developers, communities and public officials alike. The advantage of being at the helm of a dedicated and focused team means that Anthony has worked on a large variety of projects, both private and public. With a specialty in land development and public consultation, he has completed tasks such as writing the Official Plan for Owen Sound, Ontario, developing Site Plans along major corridors, providing expert witness at the Local Planning Appeal Tribunal (formerly the Ontario Municipal Board), amending Zoning By-laws and Official Plans, as well as designing communities all over Ontario. Anthony is an active member in the professional planning community. Anthony created the Ryerson Planning Alumni Association (RPAA), and was instrumental in bringing together the professional planning and development community in a collegial environment with the university, faculty and students, in addition to creating an Alumni award for graduating students. After serving on the RPAA for over a decade, Anthony then served on the Board and as President of Ryerson University Alumni Association (RUAA), which brings together all alumni associations on campus. Over the years, Anthony has played a major role in raising funds to support the School of Urban and Regional Planning at Ryerson and the University at large. In recognition of his work, he has won two G. Raymond Chang Outstanding Alumni Volunteer Awards from Ryerson - in 2008 for his work with the RPAA and in 2017 for his work with the RUAA. Mike has experience in the home building industry combined with extensive AutoCAD skills and studio work. He is a dedicated professional planner and project manager with an interest in public engagement and urban design. He is a huge supporter of public transit and park space and believes that they are essential to the health and well-being of our cities and towns. Mike enjoys the professional challenge involved the negotiation of innovative solutions that planners create through working with stakeholders. He sees planning as one of the only professions that taps into everything - politics, health, the environment, community, economy - as well as serving as a meeting place for those ideas to facilitate sustainable development. As an active member of his community, Mike is a volunteer at his local farmer's market. He enjoys an active lifestyle, is an avid cyclist and plays in a recreational soccer league. Melinda is an Urban Planner with an academic background in Anthropology and a Master of Planning in Urban Development. She is a dedicated planner and project manager with an interest in the development approval process, urban design and community engagement. At the Biglieri Group, Melinda has assisted clients in the pre-application stages through the preparation of multiple policy and planning reviews to determine land use opportunity and potential. Melinda strives to maintain strong liaisons with municipal planners to ensure that the policy and land use directives of each unique municipality are at the forefront of our strategic considerations with our clients. She has led many projects through the application and planning process through research and preparation of planning rationales for development projects and the facilitation of public information sessions and open houses. As an urbanist and Torontonian, Melinda appreciates the eclectic value of walkable cities, integrated park systems, public transit and placemaking. She leads an active lifestyle and enjoys exploring the city and its spaces and places in-between, running, cycling and recreational volleyball. 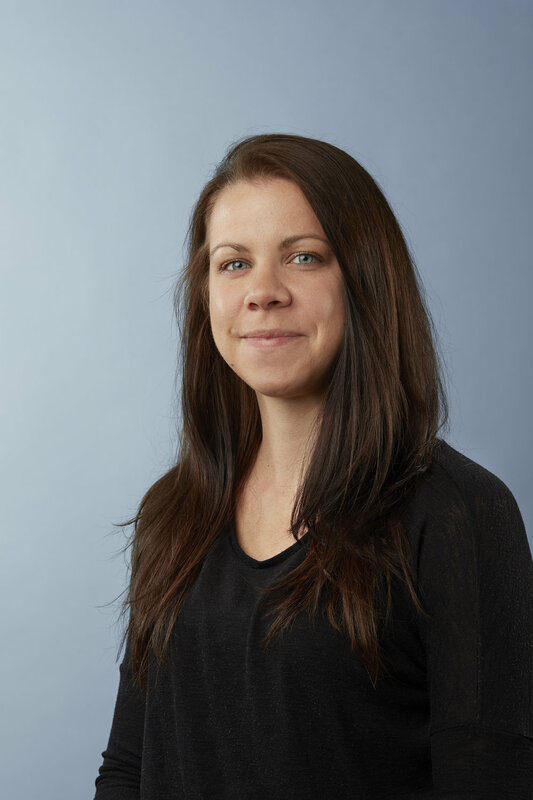 Samantha is a PhD Candidate in Planning, who connects her research with her background in practice in order to create fully accessible, inclusive and meaningful places that enhance health and wellbeing. Samantha looks specifically at how people with dementia experience their neighbourhoods and is creating guidelines for practitioners about design and consultative techniques. She has experience in private consulting, community organizations and non-profit research institutions. Samantha is a Part-Time Faculty Member at Ryerson University’s School of Urban and Regional Planning, teaching courses on the planning process (including the land use development process and public engagement) as well as planning research design, methods and analysis. Samantha has provided support regarding provincial policy changes, Committee of Adjustment and LPAT (formerly OMB) Hearings. She has also prepared several site investigations, planning justification reports, RFPs and public consultation workshops for residential, institutional and mixed-use development projects, and telecommunication infrastructure. Samantha has conducted several practice focused research projects involving review and evaluation of municipal/provincial policies and academic literature, including downtown revitalization strategies, age- and dementia-friendly cities, universal design, property tax policy, incentive programs and land leasing. Samantha is active in her community as the second Vice-President on the Toronto Council on Aging, as well as the Chair of the Strategic Planning committee. Samantha’s published and ongoing work on dementia-inclusive urban planning and age-friendly policies has been featured in academic journals, international conferences, industry publications like Plan Canada, the Canadian Library of Parliament and on CBC Radio. Justin's academic and professional career includes work in several non-profit organizations wherein he gained experience for heritage cohesion, sustainable development, critical-thinking, personal interaction, and high-energy team building. Several years of related planning and heritage experience have granted him the ability to evaluate necessary planning documents, work exceptionally well with the public, and allowed him to sustain continued growth in planning theory and practice. A degree from the University of Waterloo in Honours Planning, and Diploma from Mohawk College in Urban and Regional Planning has created a broad swath of knowledge; reaching both theory and practical planning practice. He has a passion for AutoCAD and graphic design and strives on making submissions aesthetically and refined. Mark brings expertise in land use planning, consulting and project management support for a variety of land use developments. He has led a range of projects, from small-scale land use permissions to large, master-planned communities, and guides clients through the early stages of site acquisition and due diligence through to planning approvals. Mark works closely with the client, consulting team and municipal staff to ensure the processing of applications in an efficient manner. This involves satisfying the various requirements of the municipality and agencies, while ensuring the client’s goals are met. Mark has experience with the management of numerous types of applications, including Official Plan Amendments, Zoning Amendments, Draft Plan of Subdivisions, Minor Variance and Site Plan applications. He has represented clients at Committee/Council meetings and facilitated open houses and community consultations. Mark is also proficient with many technical computer software programs including Microsoft Office and Adobe Suites (Photoshop, Illustrator, and InDesign). Mark is a strong proponent for active transportation. He is a member of the Walk Toronto Steering Committee - a local group that promotes walking and advocates on pedestrian issues. Michael brings with him an academic background in Urban and Regional Planning, Urban Studies and Political Science from Ryerson University and the University of Toronto. He has several years of experience in the private planning practice and has worked in multiple GTA municipalities. He has navigated both large and small scale residential, commercial, institutional and employment projects from the due diligence stage through approval, agreement execution, and registration. In doing so he has developed a focus on communication in order to coordinate professional teams comprised of individuals from various disciplinary backgrounds; streamlining the preparation, submission and approval of land use planning applications inclusive of Site Plan, Condominium, Subdivision, Official Plan Amendment, Zoning By-Law Amendment, Minor Variance, and Consent Applications. His Master's research at Ryerson University focused on evaluating the efficiency of large scale transit infrastructure planning and governance in Toronto and he has also contributed to papers on sustainable brownfield redevelopment research for the University of Illinois at Chicago. Michael is proficient with many technical computer software programs including Microsoft Office (Word, PowerPoint, Excel) and Adobe Suites (Illustrator, and InDesign) and is an adept writer, having prepared multiple Planning Justification Reports and Draft Official Plan and Zoning By-law Amendments. Michael enjoys an active lifestyle, attempting to play recreational hockey, basketball & volleyball. Vivian is an urban designer with experience in sustainable architectural and urban design. She has experience designing and coordinating different phases and scales of residential, institutional and commercial developments. She has assisted clients in various design and planning processes, from site and community plans to development approval and sustainability certification. She has been involved in a variety of urban design initiatives in Canada and Brazil to engage communities in the participatory process of building better spaces for all. Her Master’s research focus on planning and design strategies to create children-friendly urban open spaces in high-density communities. Vivian advocates for and is committed to more humane approach to shape the built environment. As an urban explorer, she enjoys the freedom to observe and be part of the diverse range of dynamics and connections that take place in the public realm. Brayden has a background in rural, agricultural, and estate residential planning and development. He is a recent graduate of the University of Guelph's Master of Rural Planning and Development program with an undergraduate degree from Wilfrid Laurier University. He has contributed to research in Farm Diversification at the University of Guelph. Jake brings with him experience in Urban Planning and Real Estate Development. Graduating Queen’s University with a Bachelor of Arts Honours Geography in 2017, he has amassed an in-depth knowledge of geographic and planning theory. He prides himself on his communication skills with clients, municipal employees, members of the public, and colleagues alike. 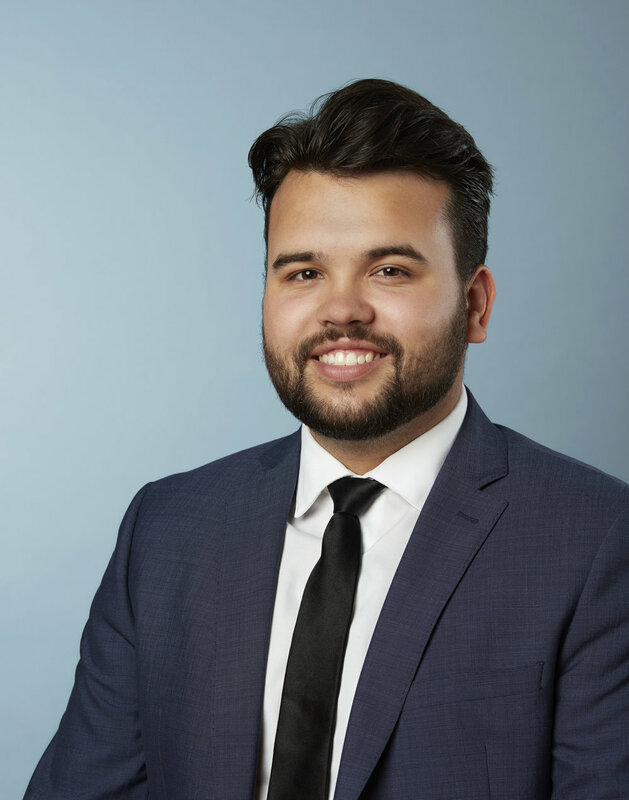 As a Junior Planner, Jake strives to enrich his knowledge of planning through practical applications while pursuing a professional planning designation. Jake lives an active-outdoor lifestyle where he enjoys golfing, fishing, and spending time with family and friends, especially at the cottage. Alexis has a background in Bookkeeping, Office Management and Client Services. She is a graduate of the Business Administration Human Resource Program at Georgian College and is a member of the Human Resources Professionals Association.